On Sunday (22nd September 2013) a pair of suicide bombers detonated their explosives outside an historic Anglican church in the city of Peshawar. The explosions occurred as the parishioners were leaving the 130 year old church after Sunday morning services. More than 78 people were killed and close to 150 others injured. 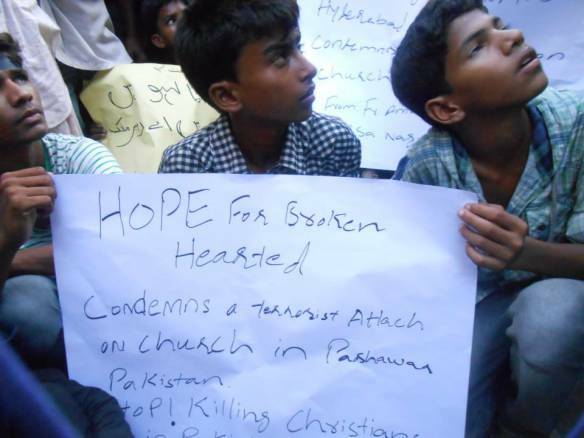 Members of the Orthodox Christian Mission community protested immediately at this savage attack on the people of Peshawar. Local and national news papers, Express TV, Geo TV, Meharan TV and other local TV channels representatives and media reporters were covering this rally and protest was recorded to the Government of Sindh Police Superintendent and other Government officials. 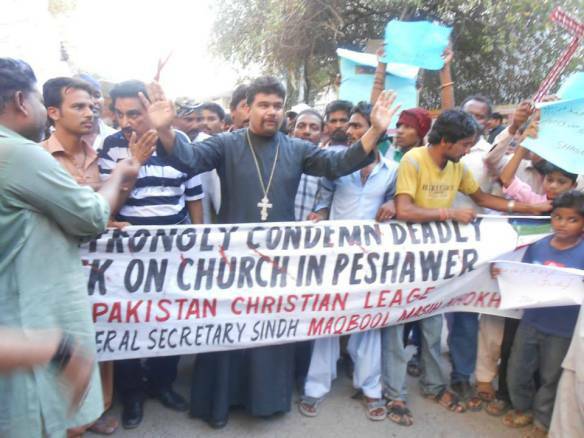 In Sargodha, Father Cyril also led in a rally against this attack taking the feeling of the people to the local chairman of the Pakistan Minority alliance, Mr. Tahir Naveed. 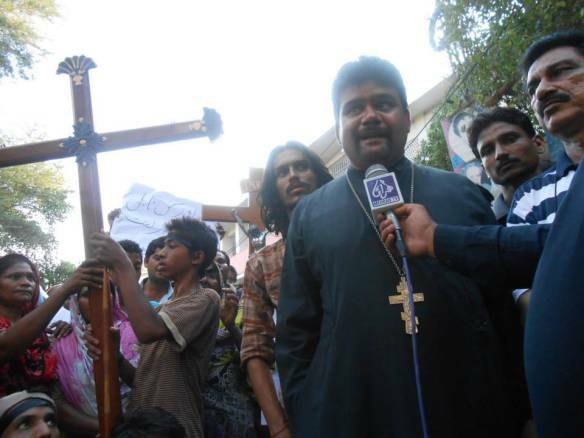 Father Cyril called on the government to ensure the safety of citizens, and especially of religious minorities.